Boo! Why Are We Afraid to Talk About Certain Things? What goes bump in the night? A volunteer who creates problems? Too many volunteers and not enough work at a project site? Staff who consistently don’t follow through? Volunteers who undermine the work? Ahhh, that voice, so chilling and unwelcome. When I took this job, I signed up for sunshine and roses, didn’t I? I signed up for kittens and puppies, not the ghostly vapors that run chills up the spine. And why are these ghostly vapors so frightening? Because I think I’m the only one who has these problems. When all you hear is inspiration it’s like drinking apple cider laced with honey and powdered sugar. I’ve eaten the bag of Halloween candy, from the candy corn to the gooey marshmallow chocolates . And I’ve had the stomach aches that go with this overindulgence. Please, instead, inspire me with acknowledgement of the monster challenges we face. What about the volunteers who have no job, just want to get out of the house and have no real connection to the mission? What about the overzealous volunteer who calls and stops in constantly? What about the volunteer who is so inappropriate but wants to volunteer and your heart breaks for them? And no, don’t tell me that you just find a spot. I’ve done that and the amount of work I had to put in was frightening, not to mention I had to shield them from caustic comments. 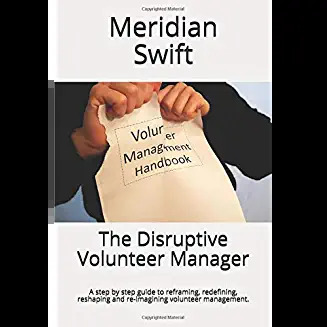 What about uncooperative staff who drive volunteers away and then turn around and complain when they can’t get a volunteer? What about administration who only hears the occasional complaint from some third cousin’s next door neighbor? What about respect? No, please stop putting caramel on my apple. My apple has bruises on it so don’t just cover it up. You can pretty it up all you want, but underneath the bruises are still there. 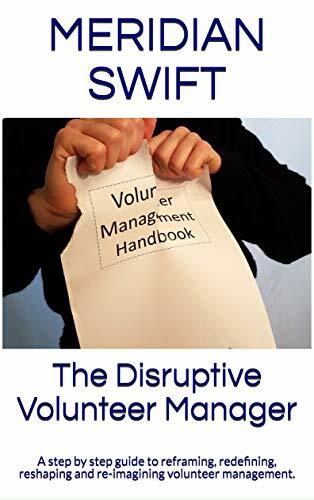 Volunteer management is like the B movie where the ditsy girl or the self-absorbed tough guy get trapped in a cabin full of zombies. They have wandered in unprepared for the onslaught of brain-eating creatures. (Ok, I just wanted to use that metaphor). Having to rely solely on their wits and the kitchen knives they frantically rooted out, these hapless souls battle for their lives. Some make it out because they adapted, and some don’t. I’ve been a volunteer manager long enough to make it out. But I fear for those who are new to our profession. They may only be hearing the talk about puppies and kittens. For them, when the zombies attack, their only weapon will be gooey marshmallow candy. Yes, I think that does happen, and those people often leave the profession, which creates a high level of turnover and makes it even more difficult to for this profession to be seen *as* a profession, and not just a stepping stone to a “better” job. But denial and delusions run deep, especially at large organizations. We just have to keep fighting the good fight and educating, educating, educating. I’m not ready to throw in the towel yet. I believe in what I do, And I’m getting to be a pretty good shot when it comes to the zombies. Hello, Kristen, you are speaking for so many! I would love to see people actually WANT to be in our profession, not use it as you so correctly pointed out as a stepping stone. Volunteerism is here to stay and will only grow. I know, for me anyway, pointing out the problems is the easy part. Now, it’s time to do something about them. Thanks Sue! Our challenges are growing and I love the ivo blog post and comments. It’s nice to know we’re not alone!